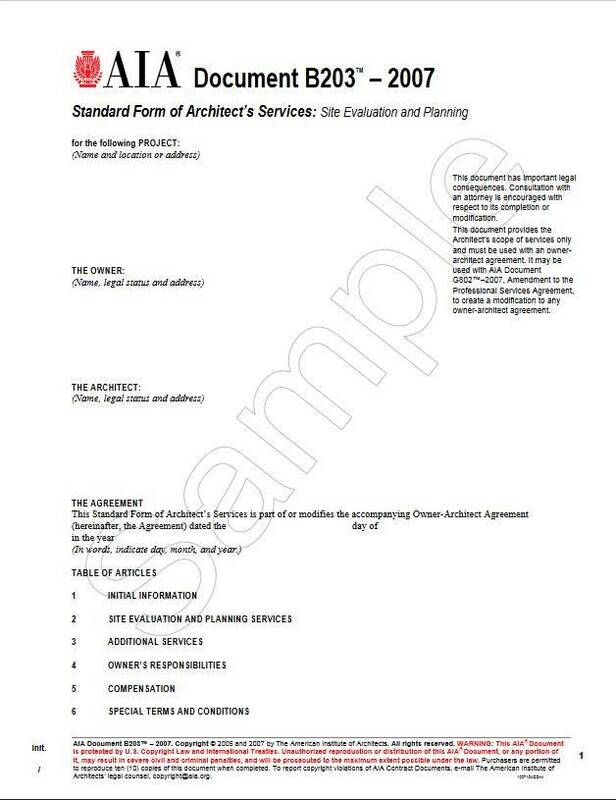 AIA Document B203™–2007 is intended for use where the architect provides the owner with services to assist in site selection for a project. Under this scope, the architect’s services may include analysis of the owner’s program and alternative sites, site utilization studies, and other analysis, such as planning and zoning requirements, site context, historic resources, utilities, environmental impact, and parking and circulation. 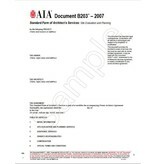 AIA Document B203–2007 may be used in two ways: (1) incorporated into the owner/architect agreement as the architect’s sole scope of services or in conjunction with other scope of services Document, or (2) attached to AIA Document G802™–2007, Amendment to the Professional Services Agreement, to create a modification to an existing owner/architect agreement. B203–2007 is a scope of services document only and may not be used as a stand-alone owner/architect agreement. B203 was revised in 2007 to align, as applicable, with AIA Document B101™–2007.